One of the best things to do on a warm, summer day is to pack up your friends and family and head to the nearest amusement park. There, you can spend the day riding rollercoasters, trying your luck at games, and eating all the goodies that amusement parks are known for. The summer day seems to last forever in that wonderful amusement park atmosphere, and the fun doesn’t have to end there because a trip to the park means coming back home with a lot of souvenirs. 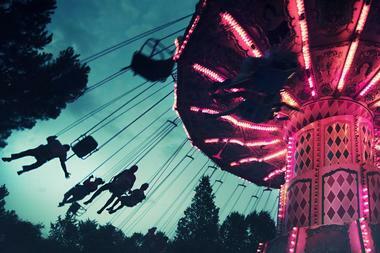 New York is filled with amusement parks that are brimming with good times. 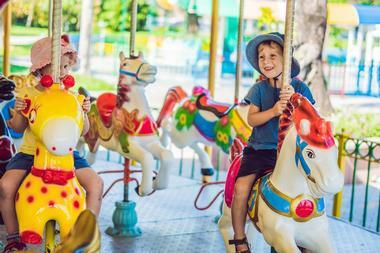 Go for a whirl on the historic carousel at Fantasy Forest or hold your breath on the thrilling Thunderbolt at Deno’s Wonder Wheel Amusement Park. Long Island’s main amusement park since 1962, Adventureland is a fun-filled amusement park that the entire family will enjoy. The park is opened seasonally: only on weekends from March to May and again in October and September, and every day during the summer months. There are thirty rides scattered throughout the 12-acre land, including water rides, roller coasters, family rides, and much more. Kids of all ages love exploring the sneaky mystery mansion, flying through the air on the pirate ship, and the classic bumper cars. Individual tickets for rides are $1.50, and each ride requires three to five tickets. Alternatively, visitors can purchase a P.O.P. bracelet for unlimited use for only $32.99 per person. 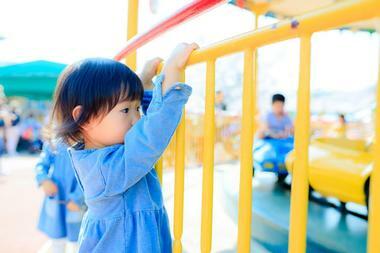 Adventurers Amusement Park has rides and attractions that families with younger children will love. Visitors can spend the entire day go-kart racing, riding the train, spinning on teacups, flying on planes, and riding the sea dragon. In addition to trying out all the fun attractions, visitors can go on boat rides around the park or play a round of miniature golf with all their friends and family. 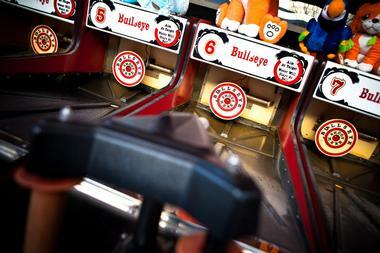 What’s an amusement park without games? Try your hand at darts, basketball, or balloon water and go home with an oversized stuffed animal and other prizes. The day isn’t complete without snacks and treats from the many concession stands around the park. Deno’s Wonder Wheel Amusement Park is a New York city landmark where Coney Island comes alive with excitement and wonder. The park is open noon onwards on weekends from April to June and then again in September and October. From July to Labor Day, the park is open to visitors every day of the week. 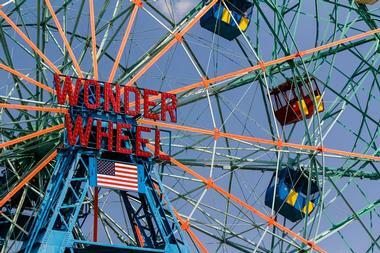 There are several adult and kiddie rides with the most famed being the iconic Deno’s Wonder Wheel. Others include the Thunderbolt, Spook-A-Rama, and the always great, bumper cars. Every Friday night at 9:30 p.m., a free fireworks show is put on for everyone to enjoy. Admission to Deno’s is free while individual rides require tickets that can be purchased at kiosks. Dreamland Amusement Park in Valley Stream is managed by an experienced amusement company with parks and events all over the United States. 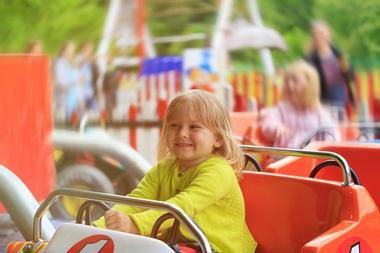 The full array of carnival rides offered are suitable for toddlers, kids, and adults of all ages. Spectacular rides at the park include the Dream Wheel, which takes you high up that you can see stunning views of your surroundings. The Delusion is a one-of-a-kind thrilling ride spins you around and around like the fabulous monster’s very own fidget spinner. The food stations offer all the beloved amusement park favorites from corn dogs to funnel cake. Located besides the Queens Zoo in the heart of the historic Flushing Meadows-Corona Park, Fantasy Forest is a renowned landmark and the area’s only amusement park. They offer an impressive assortment of classic games you know and love as well as thrilling rides that shoot you around when you least expect it. 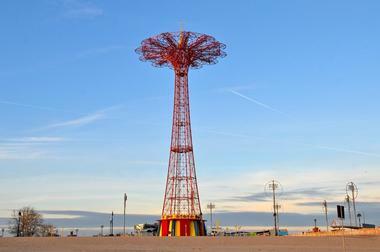 The Corona Cobra Coaster is the only roller coaster in the borough, while the historic Flushing Meadows Carousel is the original from the 1965 World’s Fair. If you’re in Queens, there’s no better way to spend the day with the family than at Fantasy Forest. Go back in time to ninety million years ago when dinosaurs freely roamed the earth at Field Station: Dinosaurs. The world-class family attraction combines creativity with science to create a thrilling experience that you will talk about for years to come. 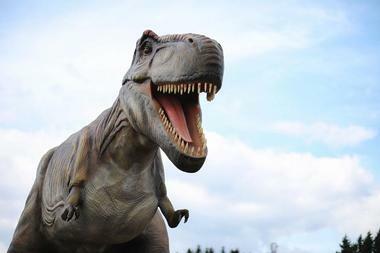 The brilliant engineers and artists at Field Station have brought over thirty realistic-looking dinosaurs to life. Visitors can walk along the trail, participate in live shows, and enjoy the many games and activities available while checking out the lifelike beings. The additional movie experience, Sea Rex: Journey to the Prehistoric World, is loved by visitors of all ages. 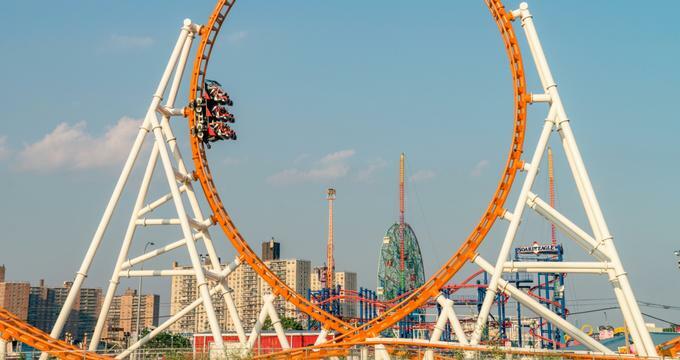 If you’re in New York and looking for an amusement park to spend the day at with your friends and family, the Keansburg Amusement Park in New Jersey is a great choice that is a quick drive away. The park opens at noon, though closing times vary depending on park occupancy, weather, and buyout events. Kids will appreciate the classics such as the teacups or tilt-a-whirl as well as the more adventurous rides like the Double Shot or the Looping Star, which is a roller coaster that will take you side to side, upside down, and every other which way. No trip to the boardwalk is complete without amusement park favorites, and visitors can have anything their taste buds desire. Luna Park is a unique amusement park where real life and fantasy combine in a fun and exciting space. The original park dates to 1903, and the space people see today came to be in 2010. Luna Park operates from April to October and has several rollercoasters, rides, and other interactive games that are fun for visitors of all ages. Rides such as the Cyclone rollercoaster from the original Astroland have been restored to their full glory. Though individual credits can be bought for a dollar a piece, many visitors decide to buy the Luna Pass, which allows for unlimited rides on most of the attractions there. The Luna Pass is $42 for visitors under 48” and $69 for those over that height. 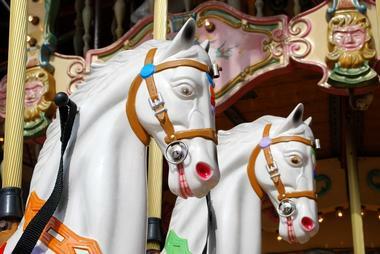 A National Historic Landmark, Playland Park is popularly known as Rye Playland. The park opened in 1928, and it has been a fun place for the entire family to spend the day and enjoy themselves since then. Roller coasters that the park is renowned for include the 80-foot-high Dragon Coaster, Super Flight, which goes 26 miles per hour, and the Family Flyer. In addition to rollercoasters, rides, and games, Playland Park features entertainment performances in their main stage; past performances have included musicals and dance and singing shows with costumed characters. Pepsi hosts a free concert series at the park every summer with performances by Cyndi Lauper, Michelle Williams, the Plain White T’s, and many more artists. Victoria Gardens is a more traditional style amusement park that can be found within Central park. The family-friendly attractions will amuse kids of all ages and are primarily appealing to those between the ages of two and twelve. Events are scheduled throughout the summer, and various entertainers perform at the park on weekends; there’s often a magic show or other interactive programs for kids to participate in while there. Admission to Victoria Gardens is $8.50, while tickets are a dollar a piece. Visitors can also choose to get a wristband for $16.00, which will allow for unlimited rides.